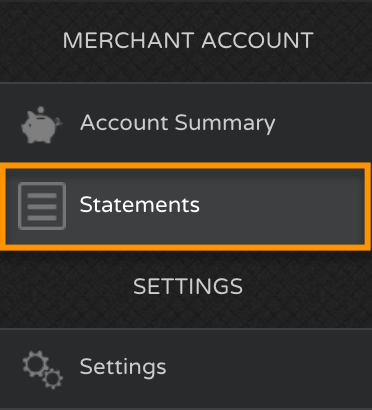 It's easy to automatically send your monthly Flipcause Merchant Account Statements (in both PDF and CSV format) to your bookkeeper and other stakeholders for accounting purposes. Note: you must have adequate administrative privileges to make these changes. Scroll down to the Automatic Monthly Statement Emails section and click the toggle to Yes. Next, enter email addresses of the people you would like to send the monthly statements to. 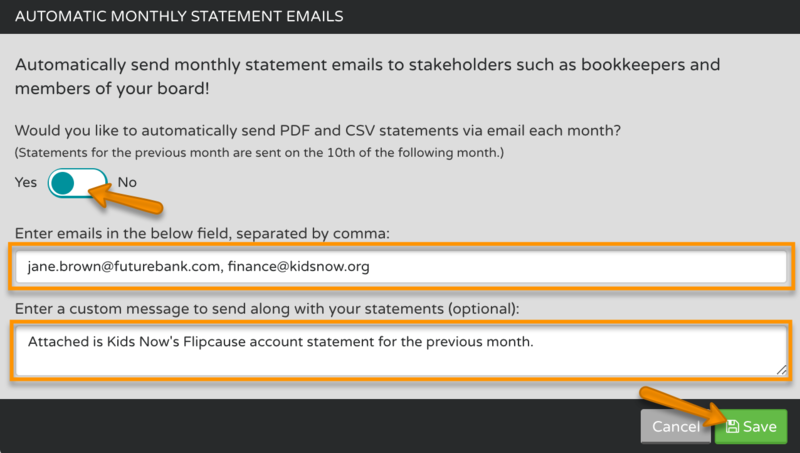 Separate multiple email addresses by comma. Hit Save when you're done! From now on, monthly statements for the previous month will be emailed to these individuals on the 10th of the following month. You can always return to this page to add or edit recipients, or to change the message you include in the monthly statement email.